Each sensor contains a non-user-replaceable CR2032 battery sealed within the unit. Replacement, while not impossible, is a rather messy affair which includes digging up potting compound, desoldering, re-soldering and re-sealing the potting – all with no guarantee that the unit will still continue to work. The sole local dealership charges a whopping $270 for replacement! 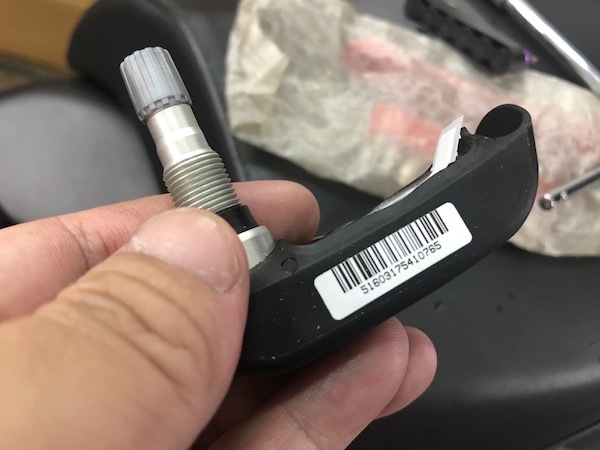 And since I didn’t quite trust the cheap Chinese-made “compatible sensors”, I bought an original BMW replacement sensor and replaced it myself. Different style RDC sensor units for the R1200GS LC. 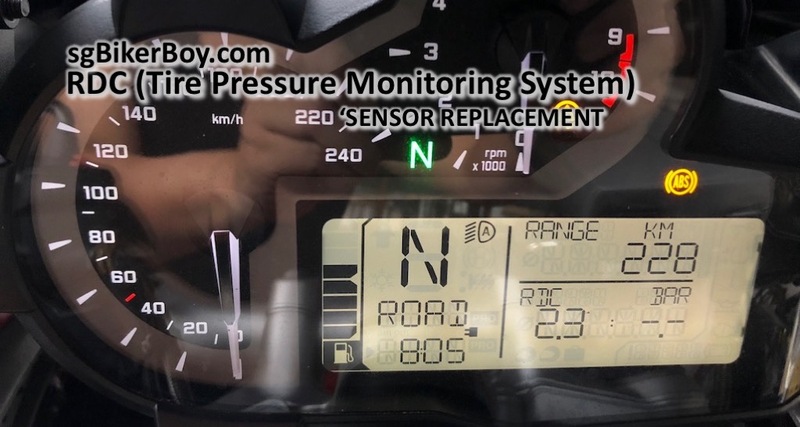 There are 2 versions of RDC Sensor units for the R1200GS LC. One’s for cast wheels, and the other is for cross-spoked wheels. The one for cross-spoked wheels come with an integrated valve stem – which was the one that I needed. 41 counts of RDC interference flagged out by the onboard computer since I last reset it in mid-June. That’s the old RDC sensor sitting in the wheel. 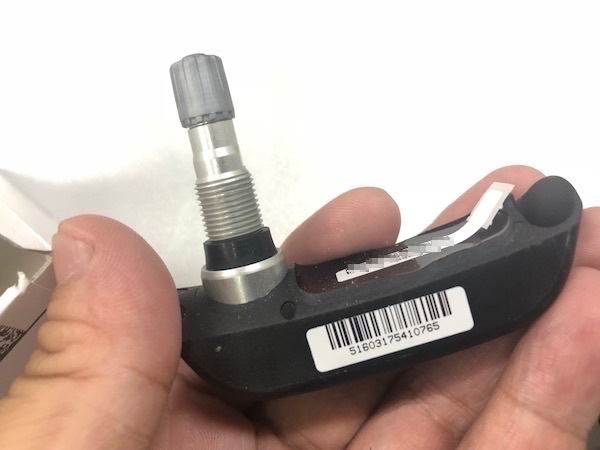 Brand new RDC sensor ready to be installed onto the R1200GS LC. 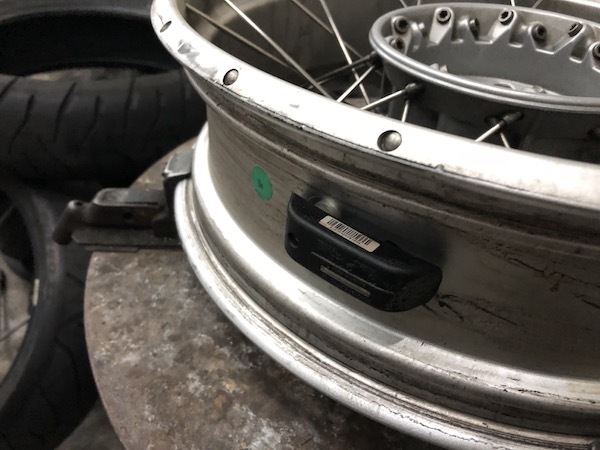 Physically replacing the RDC sensor was a simple affair – remove tire, remove old sensor, install new sensor, re-install tire. 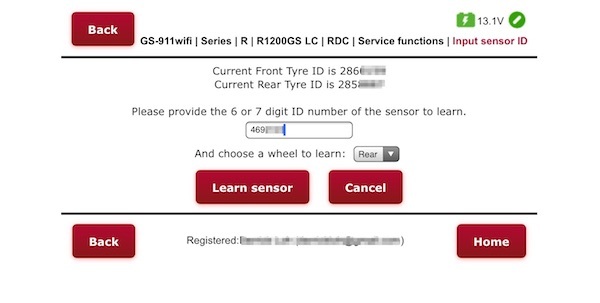 After that, you’ll need to program the bike to recognise the newly-installed sensor. That’s where the GS-911 comes in useful. 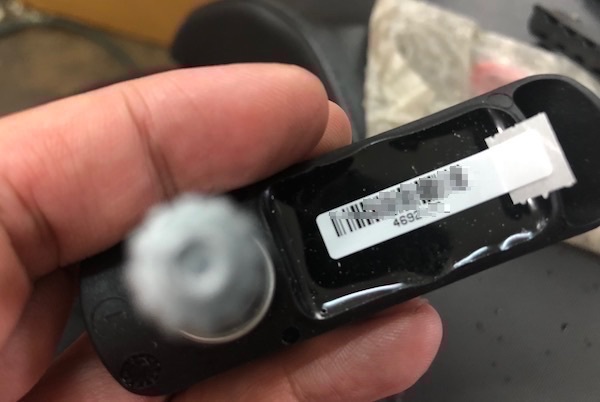 The sensor’s ID is printed on a label on top of the sensor unit. Makes programming easy. 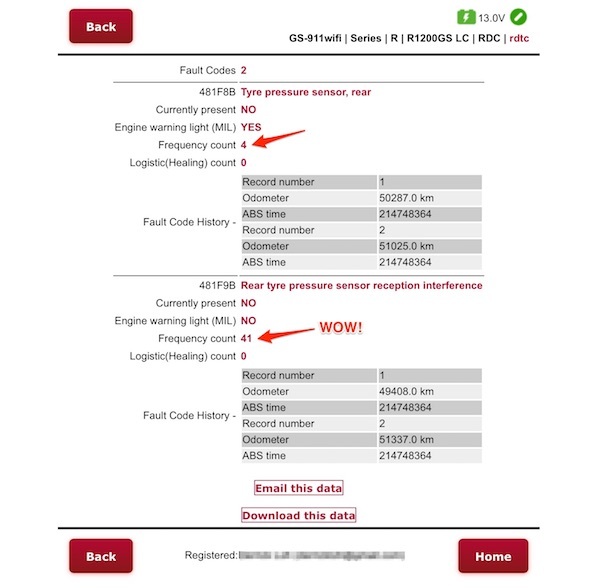 Programming the R1200GS LC to recognise the newly-installed RDC sensor. The bike immediately recognised the new sensor unit and I’m now a happy camper! Hi. You went to which shop for the setting up of sensor? DIY – I had the complete satisfaction of doing it myself. I’m quite happy to give the cheap Chinese one a try.! Could you post a URL etc to which ones are compatible. This tyre pressure thing is a scam.! I’ve not tried any of the Chinese knock-offs and thus don’t know which are compatible. Next Next post: Sunday Morning Ride – Some off-road FUN! ← Sunday Morning Ride to Kulai ← Sunday Morning Ride – Some off-road FUN!